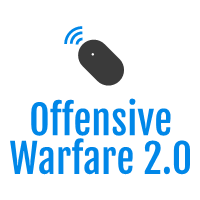 Starting from the basic premise that "All warfare is based on deception", the Cyberspace offers an unprecedented amount of asymmetric power to those capable of using it. Cyber wars are often perceived as innocent exchange of "virtual shots" between teenage defacement groups, whereas if one's willing the embrace the rough reality, Hacktivism remains a sub-activity of Cyberterrorism, where Information Warfare unites all these tactics. These stratagems are very high level and can be supported through many tactical means. Each building block defines a stratagem and contains one or more possible tactical implementations for that stratagem, including requirements, goals that may be satisfied using the stratagem, caveats, example uses, and possible countermeasures." No matter the NCW doctrine, UAVs intercepting or hijacking signals, "shock and awe" still dazzles the majority of prone to be abused by cheap PSYOPS masses of "individuals". 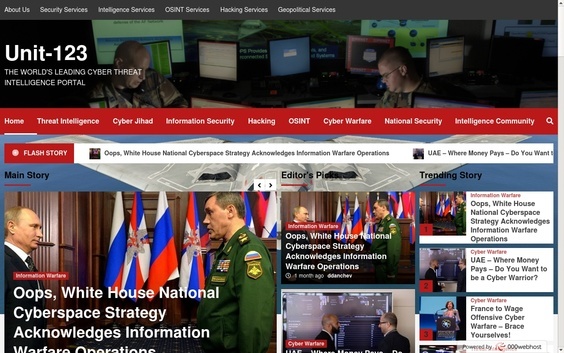 Who's Who in Cyber Warfare? Continuing the Bed Time Reading series, and a previous post related to India's Espionage Leaks, this book is a great retrospective on the U.S Nuclear Intelligence from Nazi Germany to Iran and North Korea. "India's success in preventing U.S. spy satellites from seeing signs of the planned tests days to weeks in advance was matched by its success in preventing acquisition of other types of intelligence. India's Intelligence Bureau ran an aggressive counterintelligence program, and the CIA, despite a large station in New Delhi, was unable to recruit a single Indian with information about the Vajpayee government's nuclear plans. Instead, the deputy chief of the CIA station in New Delhi was expelled after a botched try at recruiting the chief of Indian counterintelligence operations. Former ambassador Frank Wisner recalled that `we didn't have... the humans who would have given us an insight into their intentions'." Ambassadors do not keep aloof from the CIA's work, evidently. Their denials are false. NSA's eavesdropping activities did not detect test preparations. "It's a tough problem," one nuclear intelligence expert told investigative journalist Seymour Hersh. India's nuclear weapons establishment would communicate via encrypted digital messages relayed via small dishes through satellites, using a system known as VSAT (very small aperture terminal), "a two-way version of the system used by satellite television companies". Good show. At the end of the day, Americans admitted that even if they had been better informed, they could not have prevented Pokhran II just as they could not deter Pakistan from staging its tests at Chagai." 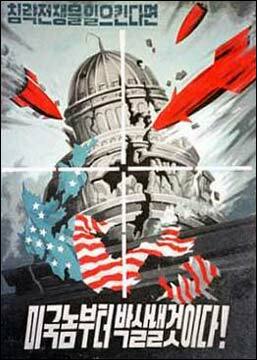 Was the USSR's tactic of helping the enemies of their enemies, thus ruining the Nuclear-club monopoly by making the A-bomb a public secret, the smartest or dumbest thing they ever did? Monopolies are bad by default, but balance is precious as the "rush must always be tempered with wisdom". How about a nice game of chess instead? Who needs nuclear weapons anymore? "No other medium can provide better speed, connectivity, and most importantly anonymity, given it’s achieved and understood, and it often is. Plain encryption might seem the obvious answer, but to me it’s steganography, having the potential to fully hide within legitimate (at least looking) data flow. Another possibility is the use secret sharing schemes. A bit of a relevant tool that can be fully utilized by any group of people wanting to ensure their authenticity and perhaps everyone’s pulse, is SSSS - Shamir's Secret Sharing Scheme. And no, I’m not giving tips, just shredding light on the potential in here! The way botnets of malware can use public forums to get commands, in this very same fashion, terrorists could easily hide sensitive communications by mixing it with huge amounts of public data, while still keeping it secret." Intelligence officials/analysts are often confronted with the difficult task of, should they actively work on scanning the entire public Internet, or single partitions of the known chaos, namely the majority of Islamic/Jihadi related web sites. Trouble is, it's heck of a short sighted approach, and way too logical one to actually provide results. Moreover, in all the fuss of terrorists using steganography, even encryption to communicate, the majority of experts -- shooting into the dark -- have totally neglected the very concept of disinformation. To be honest, I'm a little bit surprised on the lack of such, picture the media buzz of a recently found map of key region and encoded messages embedded in public image, continue with the public institutions raising threat levels, vendors taking advantages of this "marketing window" when in between, someone gained access to a third-party's E-identity and used to creatively communicate the real message. It's a public secret that the majority of already obtained Terrorist Training Manuals on the Web give instructions on primitive, but IT-centered approaches for anonymity such as encryption, use of proxies, and yes, steganography as well. Yet another public secret, these very same training manuals are actual copies of unclassified and publicly obtained Intelligence, Military and Security research documents. Here's a chapter on Secret Writing and Cipher and Codes. Primitive, but still acting as an indicator of the trend. "After scanning two million images from eBay without finding any hidden messages, we extended the scope of our analysis. A detailed description of the detection framework can be found in Detecting Steganographic Content on the Internet. This page provides details about the analysis of one million images from the Internet Archive's USENET archive. Processing the one million images with stegdetect results in about 20,000 suspicious images. We launched a dictionary attack on the JSteg and JPHide positive images. The dictionary has a size of 1,800,000 words and phrases. The disconcert cluster used to distribute the dictionary attack has a peak performance of roughly 87 GFLOPS." "R2051 Steganography Decryption by Distributive Network Attack Develop a distributive network analysis application that can detect, identify, and decrypt steganography in multiple types of files, including commonly used audio, video and graphic file formats.The application must quickly and accurately detect and identify files containing steganography and extract the hidden messages and data from the file. Decryption of any messages or data encoded before the use of a steganography program is not required. The system must allow for easy, low-cost, frequent updating to counter new emerging programs. It must detect, extract, and decrypt messages in any file that has used any currently commercially available steganography programs as well as commonly encountered non-commercial programs. These would include, but are not limited to, the following: Covert.tcp; dc-Steganograph; EzStego; FFEncode; Gzsteg; Hide 4 PGP; Hide and Seek 4.1; Hide and Seek 5.0; Hide and Seek for Windows 95; jpeg-jsteg; Paranoid, Paranoid1.1.hqx.gz; PGE - Pretty Good Envelope; PGPn123; S-Tools : S-Tools 1.0 (Italy, Finland); S-Tools 2.0 (Italy, Finland); S-Tools 3.0 (Italy), Finland); S-Tools 4.0 (Italy, Finland); Scytale; Snow; Stealth, Stealth 2.01 ; Steganos 1.4; Steganos for Windows 95 and upgrade 1.0a; Stego by John Walker; Stego by Romana Machado; Stegodos; Texto; wbStego; WitnesSoft; and WINSTORM"
The rest is making sense out of the noise and OSINT approaches for locating the "bad neighborhoods". Figure courtesy of Bauer 2002 at the FBI's Overview of Steganography for the Computer Forensics Examiner. "Helped by low pricing, Microsoft's Windows Live OneCare landed the number two spot in sales at US stores in its debut month, according to The NPD Group. The antivirus and PC care package nabbed 15.4 per cent of security suite sales at retailers such as Best Buy and Amazon.com, according to NPD's data. The average price was $29.67, well below Microsoft's list price of $49.95. Online at Amazon.com, OneCare is available for only $19.99." "Symantec noted that NPD covers retail sales only, and does not include consumer sales through internet service providers and PC makers, for example. "We just had a record June quarter in consumer sales, said Mike Plante, a marketing director at the company. You can't really draw market share conclusions from the NPD data alone, particularly with just a month of data." I wonder what would Microsoft's strategy consist of by the time their offering reaches the growth stage, and starts maturing, perhaps bargaining by offering software discounts and one-stop-shop services. I've once pointed out on another anti virus market statistics concern, namely Panda Software's -- private company, no SEC or stockholders to bother about -- stated earnings right next to the rest of publicly traded companies. My point is that, if Gartner were to offer a better grasp of this vibrant market segment, they'd better have used F-Secure which is a publicly traded anti virus vendor, as it would greatly improve an analysts confidence in the provided data, wouldn't it? Penetration pricing is all about gaining market share, and Microsoft's case reminds of how RealNetworks were ready to lose cents on each and every song sold through their digital music service, but to offer, at least temporary, a competitive alternative to iTunes. Security cannot be bought, a false sense of security can though. Whereas risk exposure and risk mitigation define a scientific approach going beyond a visionary security management, it's arguable which one dominates, as marketing and branding often do the job -- if (true) advertising does its job, millions of people keep theirs. Case in point, Symantec which currently has the largest market share -- greatly depends on the geographical area and number of anti virus products included -- is indeed the market leader, but it doesn't necessarily mean it offers the "leading" product. Exactly the opposite, the most popular, available, one that usually comes with Norton's powerful and well known brand offering. Why wouldn't Microsoft want to license Kaspersky's, F-Secure's or Symantec's technology for instance? Because that would have been like a Chinese growth syndrome so to speak. The Chinese economy is shifting from a source of raw materials, to an actual manufacturer, a little bit of vertical integration given you have something to offer to the market at a particular moment in time and start counting the new millionaires. The higher proportion of the business machine you own, the greater the profits at the end of quarter, and with the key regions across the world still getting online, malware is only going to get more attention from both sides of the front. From a business point of view, you can twist a user's actual wants so successfully you can make it almost impossible to remember what was needed at the first place -- long live the sales forces! It is often arguable whether anti virus software has turned into a commodity the way media players did, but for the end user -- the one with the powerful bandwidth available -- price and availability speak for themselves. Controversial to some recent comments on why the most popular anti virus products don't work, mostly because malware authors are testing their "releases" on these products, they actually do it on all anti virus products the way pretty much everyone aware is testing suspicious files, or evaluating vendors' response times. Don't get surprised if next time you buy a cheeseburger, the dude starts explaining the basics of zero day protection, and offer you a ZIP-based discount if any on an anti virus solution -- with up to three licenses for your wired family. Co-branding, licensing and industry outsiders are on the look for fresh revenues, and with malware representing the most popular threat as well as security "solution" bought, stay tuned a McDonald's Anti Virus "on-the-go". Hopefully one using a licensed technology from a vendor with experience and vision. - Blast Wave Accelerator - global precision strike "On the Cheap"
- Cyber/Artificial Life (Beyond AI) -? To sum up, the best warriors win their battles without waging war -- or at least not against themselves. In a previous post, Biased Privacy Violation I mentioned two web sites, DontDateHimGirl.com, DontDateHerMan.com and the associated privacy implications out of these. Just came across to MyHeritage.com whose face recognition feature works remarkably well -- for relatives and everyone in between varying on the sample. "Recognizing faces is done by algorithms that compare the faces in your photo, with all faces previously known to MyHeritage Face Recognition, through photos and meta-data contributed by yourself and other users. So the more photos added to the system, the more powerful it becomes. If people in your photos are not recognized well, it is likely that MyHeritage.com has never encountered them before. By adding these photos to MyHeritage.com and annotating the people in the photo manually, MyHeritage.com will "learn" these faces and will be able to recognize them in future photos, even in different ages of the same person's life. Note: the algorithms used by MyHeritage Face Recognition are likely to find relatives of people in your photo, due to the genetic-based facial similarities that exist between relatives. You can use this to form connections between people whom you never even knew were related." Face recognition @home just got a boost and so did the obvious privacy implications out of the ever-growing families database, and its natural abuse by interested (third) parties. "Hezbollah used the Broadwing Communications fiber-optic network to deliver its Al-Manar web site to the world last week after finding a weakness in a Broadwing customer's connection. When that happened, Hezbollah television's web site was suddenly hosted, of all places, in Texas. When Broadwing discovered what had happened, they cut the T1 connection to their customer until the customer resolved the problems on its end, and the Al-Manar site disappeared back into the ether—only to pop up a few hours later on a server in India. Hezbollah's tactics are laid out in a brief Time article that also discusses the people trying to shut Hezbollah down. And it's not the people you might think. Those in the war and security business are no doubt involved, but some of the work is done by amateurs, as well. Volunteers from the Society for Internet Research track jihadi websites and tactics across the Internet, then alert domain registrars and web hosting companies to the presence of potentially illegal material on their servers." Al Manar TV has long been known for delivering Hezbollah's PSYOPS through constantly relocating its stream, but information warfare capable enemies seem to be able to hijack the signal as it recently happened. Moreover, according to Haganah's most recent Table of American Internet Service Providers of Hezbollah -- detailed analyses -- Register.com remains a popular choice. Cyber terrorism is a complex and often misunderstood term that originally emerged as the direct effect of Techno Imperialism sentiments, and, of course, the balancing power of the Internet when it comes to cyber warfare capabilities. In another great research Cyber Terrorism: A Study of the Extent of Coverage in Computer Security Textbooks, the author summarized the most commonly encountered Cyber Terrorism categories and keywords, and discussed the different explanations of the term. As for Cyber terrorism, the first issue that comes to the mind of the average expert are the SCADA systems whose IP based connectivity remains a growing concern for governments utilizing these. Which is exactly the least issue to worry about, today's Cyber terrorism is still maturing, tomorrow's Cyber terrorism will be taking advantage of cyber warfare capabilities on demand or through direct recruitment/blackmailing practices of individuals capable of delivering them. 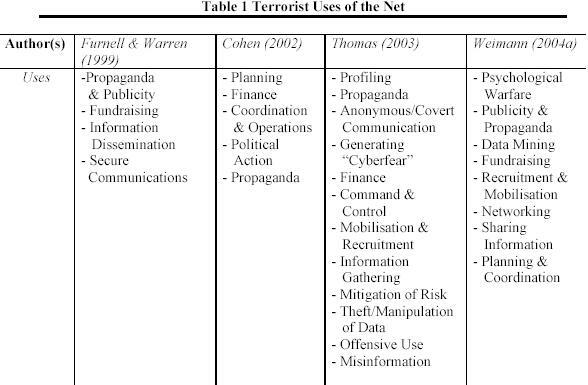 Here's a neat table representing the maturity/evolution of Cyber terrorism. For the time being, propaganda and recruitment are so far the most indirect and popular practices, whereas the concept itself is truly maturing thus becoming even more evident. Thankfully, various researchers are already actively combining AI and various web crawling approaches while analyzing the presence of terrorists on the web -- and here's a good starting point. Cyberterrorism - don't stereotype and it's there! In a previous posts I discussed various trends related to malware families, and mentioned CipherTrust's Real Time PC Zombie Statistics. You might also be interested in IronPort's Virus Outbreak Response Times for the last 24 hours which currently tracks, IronPort themselves, Sophos, Trend Micro, Symantec, and McAfee. Although vendor's bias often exist, let's just say that self-serving statements can easily be verified by doing a little research on your own -- it doesn't cost a fortune to run a geographically diverse honeyfarm. However, what bothers me is the vendors' constant claims on exchanging malware samples for the sake of keeping the E in front of E-Commerce, whereas response time "achievements" often get converted into marketing benchmarks to be achieved. Protecting against known malware is far more complex than it seems, and it is often arguable whether zero day malware, or known malware has the highest impact when infecting both, corporate, and home PCs. Basically you have powerful end users getting themselves infected with months old malware and later on collectively becoming capable of causing damage on a network that's already aiming at achieving the proactive protection level. Ironic isn't it? If detailed statistics truly matter, VirusTotal has the potential to dominate the analysts community without bias. Response times used to matter once, now it's all up to proactive protection approaches, and, of course, revenue generation from both sides. Moreover, sometimes even a signature based approach doesn't work, especially when it comes to packet based or web application based malware. Avoid the signatures hype and start rethinking the concept of malware on demand, open source malware, and the growing trend of malicious software to disable an anti virus scanner, or its ability to actually obtain the latest signatures available. At the bottom line, achieving ROSI when it comes to false malware positives is yet another growing concern for the majority of enterprises wisely spending their security dollars. "The Air Force profile will show users five video clips that the Recruiting Service says gives them “a behind-the-scenes look at the extraordinary things airmen accomplish every day,” according to a press release. Users will be able to view longer videos of airmen as they fly jets, call in air strikes, navigate satellites and jump out of airplanes, the service said. They also can vote on which commercial will kick off the Air Force’s new “Do Something Amazing” advertising campaign, scheduled for Sept. 18 during the FOX network’s “Prison Break” television show." It's like using a Yahoo Group mailing list to break the ice and keep it teen-friendly. Now, teens all over the U.S know which buddy to avoid. I'm sure Privacy advocates will pick this up shortly, given "someone" isn't already data mining MySpace profiles for targeted propositions -- of course they are. "ABC reported the activity at the suspected test site included the unloading of large reels of cable outside an underground facility called Pungyee-yok in northeast North Korea. It said cables can be used in nuclear testing to connect an underground test site to outside observation equipment. The intelligence was brought to the attention of the White House last week, the report said. Fears about North Korea's nuclear ambitions were exacerbated when Pyongyang defied international warnings and fired seven missiles into waters east of the Korean peninsula on July 5." Excluding an opinionated Weapons of Mass Deception expert's interest in developments like these, speculations remain a powerful driving force for everyone involved. Consider a basic principle in life, it is often assumed that gathering together a bunch of handicapped people is the best solution for their "fragile" situation, compared to actually trying to integrate instead of isolate them. I find the same issue as the cornerstone when dealing with countries on purposely isolating themsleves, thus limiting the international accountability and ensuring the continuity of the twisted reality. "North Korea has opened accounts at 23 banks in 10 countries following the U.S. imposition of financial sanctions on a bank in Macau last year, a Japanese newspaper reported Saturday. The Sankei Shimbun said on its Web site the 10 countries include Vietnam, Mongolia and Russia, quoting sources familiar with North Korean affairs. In September, the United States banned all American financial institutions from transacting with a Macau-based bank, Banco Delta Asia, accusing it of aiding North Korea in circulation of counterfeit U.S. dollars allegedly printed in the communist state. The U.S. also confirmed last month that the Bank of China, a major Chinese lender, had frozen all of its North Korean accounts suspected of being connected with the North's alleged counterfeiting activities." And while China is realizing its growing economic potential, thus complying with such efforts as well, helping the enemies of your enemies still remain a fashionable concept in the silent war. You definitely don't need a CISSP certificate to blog on this one, just make sure you don't forget that there should be a limit on everything, even the hugs on the beach. "was created out of the recently released AOL search data. Welcome to the AOL Keyword Analyser. This tool provides insights that have never before been publically available on the web. I claim: First tool on the web as far as I know that allows you to view what keywords people searched for it in search engines. First time you can see how much organic traffic each site gets from a search engine. First opportunity the public can see how many clicks individual SERPs get." Surprising results speaking for the quality of the audience by themselves. Meanwhile, the EFF is naturally taking actions. Prr, did I hear someone start counting mobile malware samples, prr? * a market-oriented discussion of possible future developments in the field of mobile device security"
Malware authors indeed have financial incentives to futher continue recompling publicly available PoC mobile malware source code, and it's the purchasing/identification features phones, opening a car with an SMS, opening a door with an SMS, purchasing over an SMS or direct barcode scanning, mobile impersonation scams, harvesting phone numbers of infected victims, as well as unknowingly interacting with premium numbers are the things about to get directly abused -- efficiently and automatically. And whereas there are more people on Earth with mobile phones compared to those with PCs, it doesn't necessarily mean everyone's having a smart phone -- perhaps Bill Gates "remarkable" cash on the poor proposition could soon undermine the $100 laptop one. People are getting more aware on the social engineering basics of today's mobile malware, and running a mobile phone anti-virus would be nothing more than a marketer's dream come true -- end users positioning themselves as security savvy buyers. Mobile operators tend to have God's eye view on their networks, therefore epidemics are far from reality, targeted attacks (events and places where the masses gather or pass by), and directly exploiting the lack of awareness in certain regions could make an impact. South Korea's advances in mobile communications let its citizens have more phone bandwidth than an average ADSL user, but I would still have to see this getting abused at a level going beyond the sophisticated impersonation scams going on all the time. Worth taking your time to read this book, go through Chapter 1 discussing "Why a Secure Platform?" is the basics of mobile devices security, as well. Bed Time Reading - Rome Inc.
"But the ability to operate autonomously near another satellite could also be used for offensive purposes, says Theresa Hitchens of the Center for Defense Information in Washington DC, US. If an ANGELS-like satellite were sent towards another country's satellite, it could be used as a weapon, she says. "It’s not far fetched to think that you could equip such little satellites with radio frequency jammers or technologies to block image capability," she told New Scientist. 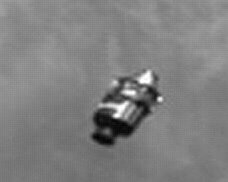 For example, a mini satellite could spray paint on the lens of a satellite's camera in order to blind it, she says. "There's a huge potential for this to be used as an anti-satellite weapon of some sort." Quite a creative space provocation, isn't it? Is a Space Warfare arms race really coming? Censorship is as bad, as looking directly into the sun which causes blindness, and still remains the among the few key prerequisites for successfully running a modern communism type of government, namely the leader's appearance. And while it's obvious that wearing eyeglasses is supposedly making you look smarter, I'm certain that it's not reading on candles, but censorship that's causing the overal blindness of party members on average. Human Rights Watch recently reseased a very comprehensive report on China's Internet censorship philosophy, technologies, social implications and the business parties involved. Take your time to understand the Twisted Reality courtesy of China's Internet Censorship efforts, and learn more on how to undermine censorship. Huge traffic aggregators such as the majority of social networking sites,attract not only huge percentage of the Internet's population on a regular basis, but also malware authors taking advantage of the medium as an infection vector -- and why not as a propagation one as well? "Analysts interact among themselves, as a complex community web of knowledge. Analysis of those sorts of networks would be worthwhile, and is being done in the commercial sector, through a variety of tools. In the fall of 2000, the CIA shut down a so-called “chat room” operating unofficially over Agency networks; four employees lost their jobs, with other employees and contractors given reprimands. I had left the Agency in 1994, but numerous of those involved were friends and former colleagues. My impression was that what occurred was more embarrassing than threatening, and that agency management ought to understand how and why such virtual communities form—whether they’re facilitated or frustrated by the “official” infrastructure—and appreciate their value. Various network visualization tools would have readily revealed anomalous (at least as far as official business was concerned) traffic, but analysts will want and need an environment that fosters creativity and community, and ought to be given one." However, there's a certain degree of internal censorship going on, the way employers often have strict guidelines on employees blogging activities, the CIA recently fired an analyst over an internal blog posting related to the Geneva Convention and torture. Risk management solutions, besides visualization are, of course, taking place as well. A Chief Privacy Officer and basic common sense anyone? As you all know, during the weekend 20M search queries of 650,000 AOL users leaked, and are all over the Internet available for download. It's simple unbeliavable that the only measure to ensure the privacy of the data was the "unique ID", and how often does the excuse of improving search results pop out. No need for subpoenas this time, but basic use of filtering techniques. "Buried in a list of 20 million Web search queries collected by AOL and recently released on the Internet is user No. 4417749. The number was assigned by the company to protect the searcher’s anonymity, but it was not much of a shield. No. 4417749 conducted hundreds of searches over a three-month period on topics ranging from “numb fingers” to “60 single men” to “dog that urinates on everything.” And search by search, click by click, the identity of AOL user No. 4417749 became easier to discern. There are queries for “landscapers in Lilburn, Ga,” several people with the last name Arnold and “homes sold in shadow lake subdivision gwinnett county georgia.” It did not take much investigating to follow that data trail to Thelma Arnold, a 62-year-old widow who lives in Lilburn, Ga., frequently researches her friends’ medical ailments and loves her three dogs. “Those are my searches,” she said, after a reporter read part of the list to her." Hope AOL gets to win the Big Brother Awards, nominated for sure. Still worry about your search history and BigBrother? The Feds, Google, MSN's reaction, and how you got "bigbrothered"? What search engines know, or may find out about us? "Base persuaded supermarket managers to tally daily toilet-paper buys for the week and a Stater Bros. manager said there was a run on bathroom tissue two days before her home was vandalized. At 7:30 p.m. Feb. 17, someone bought 144 rolls of toilet paper, cheese, dog food, flour and plastic forks, the same items found on her lawn and house. It was a cash transaction, making it difficult to trace the purchaser, but the store had video surveillance. The video showed four teenagers making the purchase, one of them wearing a Norco High School letterman's jacket with a name stitched across the back. The store's parking lot surveillance camera showed the truck they were using. Base then borrowed a Norco High yearbook and used online databases to get the name, phone numbers and addresses of the teens on the store tape." One question remains though. If she managed to socially engineer the supermarket's staff to pass her transactions info, even a surveillance camera footage, I wonder where they were shopping from, and would her detective work findings hold in court given how they were obtained. What if they used a distributed shopping practice? You may also find a previous post on Big Brother in the Restroom, a relevant one. UPDATE: Great post at Angela Gunn's Tech_Space. Keep your friends close, your neighbors closer! "This paper introduces JitterBugs, a class of inline interception mechanisms that covertly transmit data by perturbing the timing of input events likely to affect externally observable network traffic. JitterBugs positioned at input devices deep within the trusted environment (e.g., hidden in cables or connectors) can leak sensitive data without compromising the host or its software. In particular, we show a practical Keyboard JitterBug that solves the data exfiltration problem for keystroke loggers by leaking captured passwords through small variations in the precise times at which keyboard events are delivered to the host. Whenever an interactive communication application (such as SSH, Telnet, instant messaging, etc) is running, a receiver monitoring the host's network traffic can recover the leaked data, even when the session or link is encrypted. Our experiments suggest that simple Keyboard JitterBugs can be a practical technique for capturing and exfiltrating typed secrets under conventional OSes and interactive network applications, even when the receiver is many hops away on the Internet." The trade-off remains on whether physically restoring the device would remain undetected, compared to directly streaming the output outside the network. I'll go for the covert network timing whereas insecurities and flexibility are always a matter of viewpoint. To bottom line - bot families result in anti virus software detecting over 200,000 pieces of malware already, trouble is the majority of them have long converted into family members rather than staying bachelors only as it used to be. Malware on demand and Open Source Malware, combined with the ease of packing, are definitely making their impact. This weekend's featured DVD is a marvelous representation of a full-scale 1984 type of mass surveillance society, but compared to an utopian party acting as the caring BigBrother, here it's the inavitable advances of technology, and availability of services leading to the ultimate digital preservation of our entire living -- through our own eye-embedded implants. Worth taking your time to watch this "remixing" of reality leading to the ultimate saint, but I have to agree with SFAM's comments on the "usefulness" of the technology for compiling a 30 min funeral clip only. The rest is the plot itself. "In a near undefined future, people may have a Zoe microchip implanted in their nervous system to permit their families retrieve the best moments of their memories and watch on video after their deaths. This process is called "Rememory" and Alan H. Hakman (Robin Williams), a man traumatized by an incident in his childhood, is the best cutter of the Eye Tech Corporation. The company is facing groups that oppose to the "Rememory" and the ex-cutter Fletcher (Jim Caviezel) is leading these opponents. When Alan is assigned to prepare the final cut of the memories of the Eye Tech lawyer Charles Bannister, his Zoe chip is disputed by Fletcher. Meanwhile, Alan finds that he has also an implanted microchip, which is against the rules of a cutter." You can also go through CyberPunkReview's comments and snapshots of The Final Cut. UPDATE: Seems like Blogspot is only searching through 7 out of my 209 posts, and ignoring the conspiracy theory you can still do it the old fashioned way - Surveillance, Privacy, Malware, Censorship, Cyber terrorism, Intelligence, etc. "This report will provide an overview of the numerous malicious code trends experts are observing and those they predict will be seen in the foreseeable future. This is not a document that will chart the future of malicious code as that would be impossible. Malware writers move very quickly. They are adaptable and very often they are exploiting vulnerabilities before the rest of the security industry is fully aware of them. Their flexibility and reaction speed is essential if they wish to continue to make a profit and stay ahead of the anti-virus companies who are constantly devising new ways to detect and remove hostile code. As a result, some of the trends covered in this document may never fully evolve and others that have not been mentioned will, no doubt, appear.This document will give readers a better sense of what is coming “down the pipe” and perhaps, a better idea of what to look for when dealing with tomorrow’s malicious code." Professionally questioning a vendor's or mogul's self-mythology is the anti-mogul speciality. Don't just slice the threat on pieces and take credit for slicing it, let's discuss the pie itself. Meanwhile, keep an eye on my Delicious Information Warfare summaries, and syndicate them if time equals opportunities. "Luca Carettoni and Claudio Merloni are security consultants at Milan, Italy-based Secure Network. The two created the BlueBag to raise awareness about the potential of attacks against Bluetooth-enabled devices, they said in an interview at the Black Hat security event in Las Vegas. The BlueBag is a roll-aboard suitcase filled with hardware. That gear is loaded with software to scan for Bluetooth devices and launch attacks against those, the two men said. We started evaluating how Bluetooth technology was spread in a metropolitan area, Carettoni said. We went around airports, offices and shopping malls and realized that a covered bag can be used quite effectively for malicious purposes." Outstanding execution of the idea, I still wonder what would the content of the suitcase look like through an X-ray if they ever get to pass through one of course. Go through the entire photo session at Black Hat 2006, by Joris Evers @CNET NEWS.com's team, as well as over the basics of bluetooth (in)security. "The consolidation involves Singer’s headquarters staff, and subordinate Naval Security Group Activities (NSGA) and detachments (NSGD). When fully completed, the action will combine the Navy's enlisted Cryptologic Technicians and Information Warfare officers into the same organization as the Navy’s Information Systems Technicians and Information Professional officers. The IO warfare area is composed of five core integrated capabilities: Electronic Warfare, Computer Network Operations, Psychological Operations, Military Deception and Operational Security. These combine with related capabilities to provide “Information Dominance,” the concept of controlling an adversary’s use of the information and communications environment while protecting one’s own." "Naval Radio Research Observatory (NRRO). This observatory is to be erected at Sugar Grove, West Virginia for exploiting lunar reflective techniques for the purposes of intelligence collection, radio astronomy, and communications-electronics research. A 600-foot steerable parabolic radio antenna will provide for the reception of electromagnetic emissions reflected off the moon. As an intelligence device it will provide for reception and analyzing emissions from areas of the world not now accessible by any other known method, short of physical penetration. The Observatory is planned to be operational in FY 1962." "Although the 600-ft telescope was never built, a satellite-based alternative, called `GRAB' (Galactic RAdiation Background), was launched in June of 1960. Again, this was a dual-use system. The world's first elint satellite and astronomical observatory were integrated into the same satellite bus, with astronomy serving as an operational front for the whole. A second GRAB was launched in 1962. 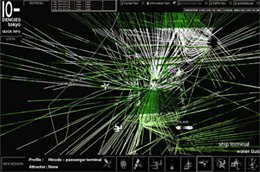 This interface of classified and basic research tells us about the pursuit of science and science-based technologies during the Cold War." Nowadays it just seems to be full of bird listeners using parabolic microphones, activists "hacking" TV and Radio signals, and others conducting sophisticated TECHINT on the war field. "It took InCard four years to develop the card, Finkelstein said. The company combined technology from a Taiwanese display maker, a U.S. battery manufacturer and a French security team, he said. A Swiss partner, NagraID, owns the rights to the process to combine the pieces and actually manufacture the technical innards of the card. 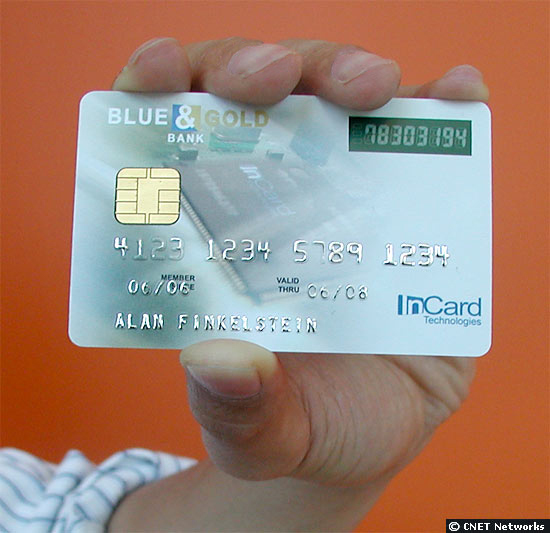 The biggest development challenges were the ability to bend the card, power consumption and thickness, Finkelstein said. The result is a card that's as thin and flexible as a regular credit card and is guaranteed to work for three years and 16,000 uses. "Which is about 15 times a day, seven days a week," Finkelstein said." Compliance with the FFIEC, or an emerging trend of convergence, trouble is it doesn't solve the majority of issues related to phishing attacks, rather it has the potential to undermine other companies' offerings. Now all they need is someone who'll take the role of an evangelist besides the well networked company executives. 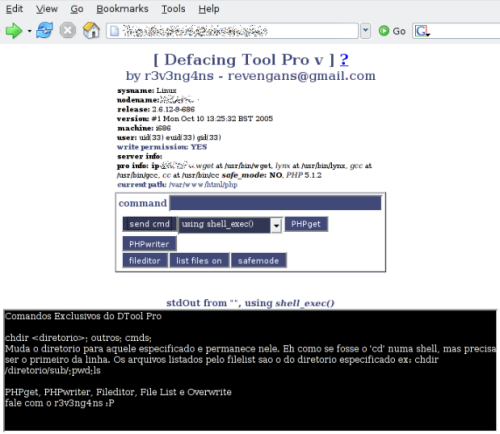 Anti Phishing Toolbars - Can You Trust Them? 1. Someone is massively creating randomly named, fake user accounts (probably in a more or less automated fashion). 2. Those fake users, powered by automated web spider software, are set to scavenge eBay for 1-cent "buy it now" items and buy them. 3. Automatically, the 1-cent item seller script is emailing the buyer with the item, and posts its standard feedback on his profile. 4. The fake user automatically responds with a standard feedback comment on the seller’s profile. In a nutshell: Two bots are talking. And doing business." The use of CAPTCHAs, and ensuring the bots never manage to register themselves, is as important as the automated the process of bypassing CAPTCHA authentication . Expect to see a much better random generation of pseudo users, and their feedbacks compared to these one. And since Ebay is no longer an intermediary, but a platform, bots got plenty of seed data to begin their life with, don't they? These very same techniques apply to common networks such as the Internet Relay Chat, and the majority of instant messengers where malware tries to, either take advantage of a momentum and forward itself to a buddy, or keep the discussion going until the time for a fancy photo session exchange has come.